Hello Beauties! I hope you're all well and had a lovely weekend. I'd love to say I spent mine relaxing and eating cake, however mine was spend revising and working away whilst also on a diet....could it really get worse? 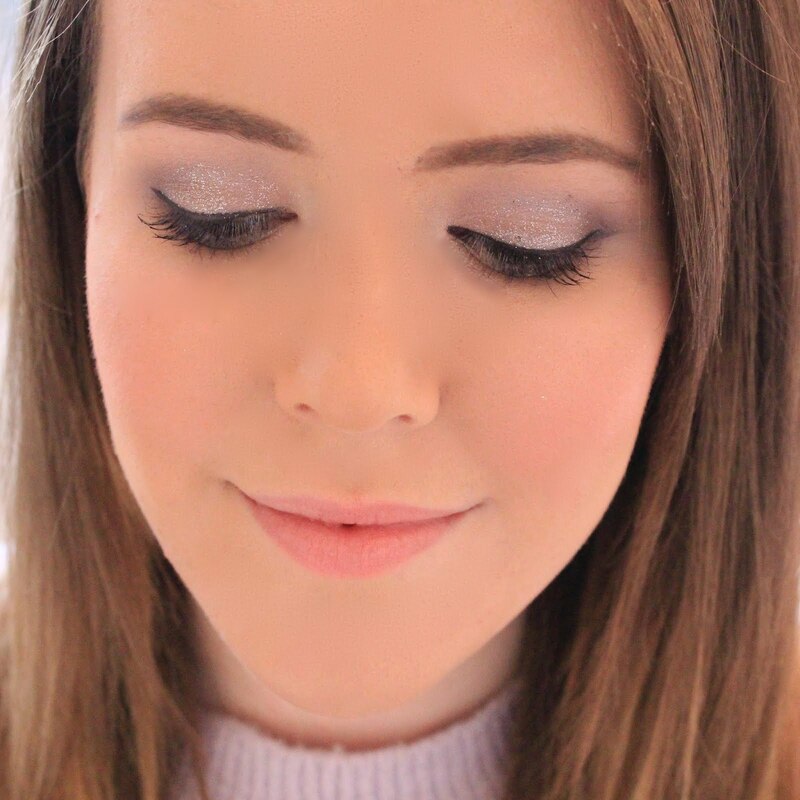 I finish Uni in just over a week though, so hopefully it will all be over soon and I can get back to concentrating on some new content for Lipgloss & Lashes! 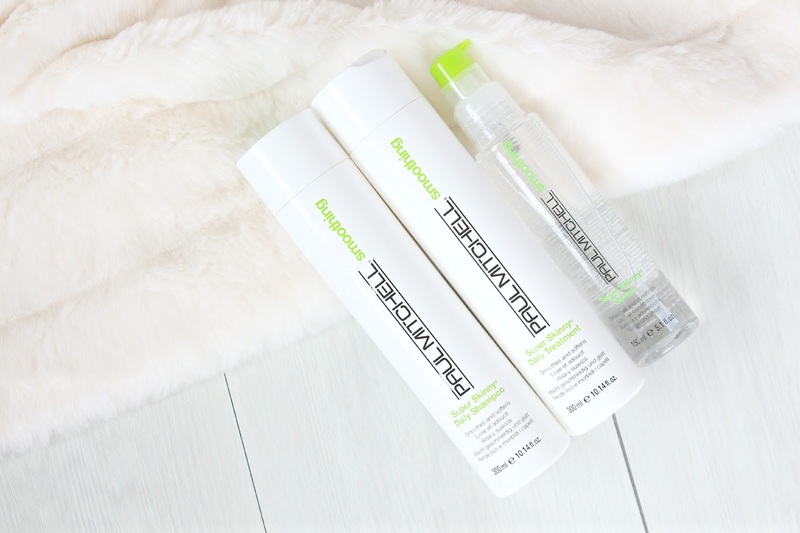 Anyway, I've mentioned before that since getting my hair cut and restyled, I've been testing out quite a few different haircare ranges, and today I wanted to tell you all about the Paul Mitchell Smoothing Haircare Range. I know that the picture says that it's called the 'so smooth' gift set, but it's actually just the smoothing gift set - I edited the picture and deleted the original so I couldn't go back and change it! The set comes in a plastic cosmetics bag, which I've kept to use as a travel makeup bag. I think the design is quite pretty, it's big enough to fit a fair bit inside, and the plastic makes it easy to wipe down. Clearly you wouldn't buy this just for the bag, but I always think these things are a nice little addition. The range aims to cleanse, smooth and soften the hair all while reducing drying time and helping keep frizz at bay, so exactly what I need from my hair products. Given the positive reviews and professional reputation of Paul Mitchell haircare, I couldn't wait to put them to the test and see the results. I'll get my first little negative out of the way first, and it really only is a little quibble for me....this didn't reduce drying time. I have extremely thick hair, and lots of it, so a product that reduces the drying time of my hair would have to be nothing short of a miracle...even hairdressers struggle. So for me, this didn't live up to that claim, but as I'm used to spending hours on my hair it's no biggie, and this may work extremely well in terms of drying time on less dense and thick manes. Before I get in to how well the product actually works, I have to mention the smell. The whole range smells delicious. It has a light and fruity scent which smells just like apples, it's also a scent which lingers on the hair after washing which makes the products seem a little more luxurious and more like 'hairdresser' products if you know what I mean. Overall I have been extremely impressed with the range. Since using it on a daily/every-other-day basis my hair has completely transformed. 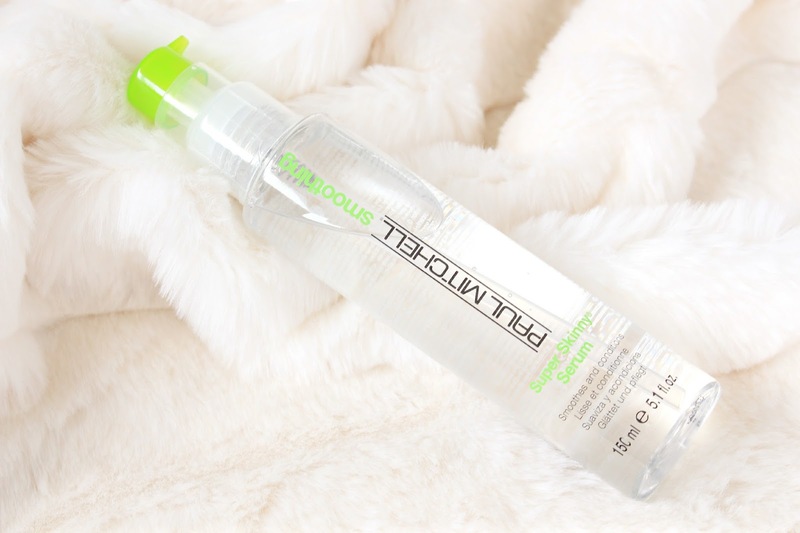 I have curly hair, which can be a little coarse sometimes and end up looking slightly straw-like when straightened, however since using this my hair has been noticeably softer and smoother which has made straightening my hair a lot easier. I find that the serum really helps to keep my frizz under wraps too. Before, all I'd have to do was walk out the door and all my hard work and effort straightening my hair evaporated as the frizzy mess took over, but now my hair lasts a lot longer, which just goes to show that investing in your haircare (especially when you treat it as badly as I do) is sometimes worth the extra spend. This gift set, along with a number of other Paul Mitchell hair products, are available from HQhair.com, although I'd definitely recommend picking up one of the sets as they're so much cheaper than buying the products individually! I really love Phil Mitchell, I just always forget they exist! I absolutely swear by the PM Super Skinny Serum. It's just amazing for getting soft, shiny, straight hair!